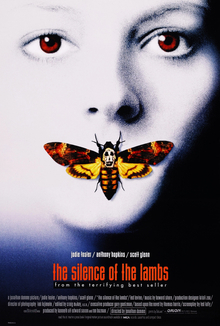 I watched The Silence of the Lambs for the third time last weekend. It’s one of those films that deserves multiple viewings due to the depth of the characters, filming style, story, and excellent acting. For those unfamiliar with the film, the basic premise is this: FBI leader Jack Crawford enlists the help of up-and-coming recruit Clarice Starling to help him track down a serial killer nicknamed “Buffalo Bill.” Bill kidnaps women, holds them for several days, takes part of their skin and then kills them. To help profile and track down the killer, Jack sends Clarice to talk to the imprisoned Dr. Hannibal Lecter, a psychologist and serial killer himself who gained notoriety by eating his victims. Whether we admit it not, we like Hannibal Lecter. That’s why he is such a great villain. Now before you object, let me explain. We hate him, of course, because he shows no regard for human life and brutally murders people. I would be glad to see him die, but still, we like him too. His attributes are too compelling to do otherwise. He always stays in control of the situation, and even when behind bars he remains superior to all those around him. He is very polite and tempered. He can read people, and he knows what questions to ask to get to deepest and darkest parts of someone’s heart. Even though he eats people, calling him just a monster or psycho is a gross oversimplification.